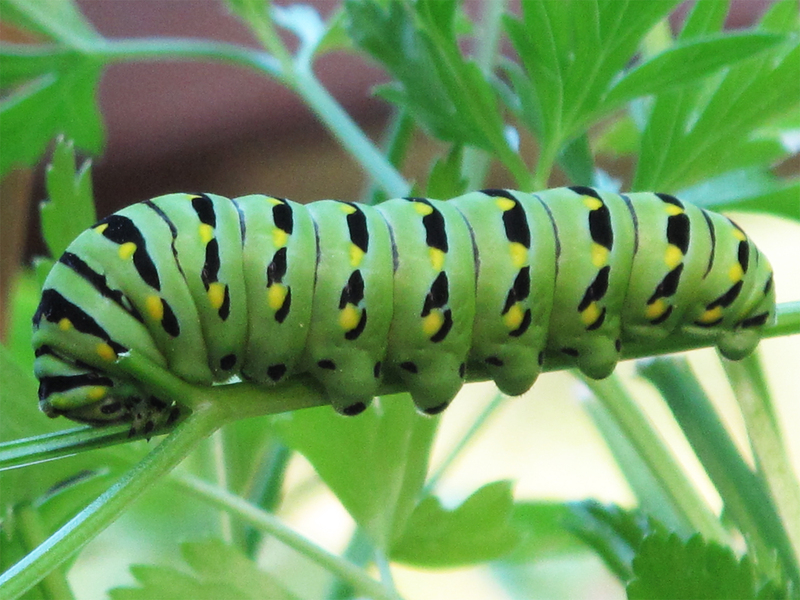 I gazed into my herb garden, and what did I see? But a fabulous caterpillar beckoning me. I offered him parsley, cilantro and beans. And the moral of the story is: Eat your vegetables!